First I am going to shamelessly ask you to vote for me. I need as many votes as I can get to get near the top 25. 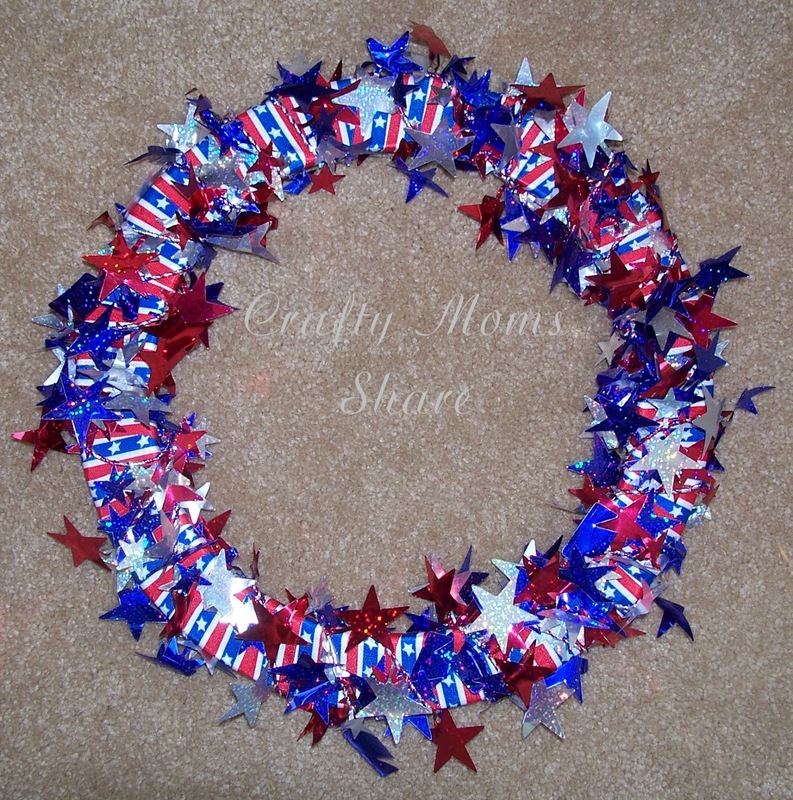 Just click on the emblem above and then click vote at Crafty Moms Share. It only takes a minute and I would really appreciate it!! Next I am going to tell you about a really cool giveaway at Castle of Costa Mesa. I know Hazel would LOVE those dolls!! They would go perfect with her castle blocks and play mat from Christmas! Ok, now on to our simple Valentine's Day wreath. I was inspired by a wreath somewhere, but I don't remember where. Anyway, I cut many hearts out of scrapbook paper in different sizes. (I happen to have heart templates from my quilting days.) 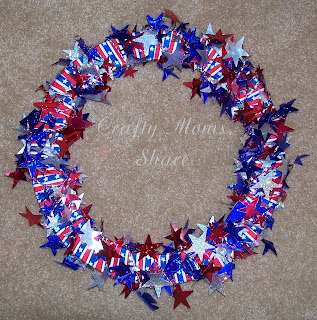 Then we took this Fourth of July wreath and removed the garland. Then I traced it on paper and cut a layer around it so we could glue onto the paper and not ruin the wreath. I attached the paper ring with crepe paper leftover from Hazel's birthday and tape. Then we just glued the hearts on. I am happy with how it turned out. I do wish I had added the ribbon before gluing the hearts, but oh, well. 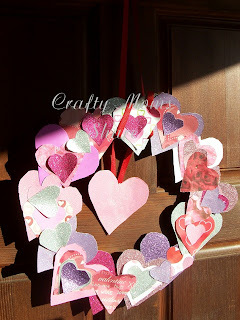 Now we have a bit of Valentine's Day on our front door!! More decorations to come I'm sure.